Pleasing canopy shapes and generous amounts of shade have made several species of ash (Fraxinus spp.) staples in yards. But ash trees play host to a range of diseases, some of which are deadly. Ash decline, a general term used when no single pathogen is found to be the cause of the tree's decline, may be a mix of several diseases. Ashes generally grow in U.S. Department of Agriculture plant hardiness zones 3 through 11, depending on the species. Verticillium wilt is a common, deadly fungus that infects ash trees, along with several other plants. This fungus blocks the tiny, veinlike tubes that carry water throughout the tree, essentially starving the ash tree of water flow. The leaves begin to wilt and sections of branches begin to die back. The disease also releases toxins throughout the tree. Verticillium can be acute or chronic. Acute infections happen rather suddenly, while chronic infections develop much more slowly. This fungus lives in the soil and there is no known treatment. Ash yellows is a common disease caused by phytoplasma, which acts somewhat like a virus. White ash (Fraxinus americana) and green ash (Fraxinus pennsylvanica), which both grow in USDA zones 3 through 9, are more susceptible to yellows. An ash with yellow starts to lose vigor over a period of two to 10 years until it finally dies. Leaves become pale yellow and may fall prematurely. Cankers cause dieback on twigs and branches. Anthracnose, a serious fungal disease, has symptoms including light brown blotches on mature leaves dark spots on the tips of young leaves and girdled young twigs. Premature leaf drop often happens, particularly along the lower branches. In many cases, the disease doesn't do severe damage in a single year, but severe leaf drop may occur after three or more consecutive years of anthracnose-favorable weather, leaving sparse trees. As the name suggests, leaf spots symptoms include spots of different colors and different types of leaf spots come throughout the year. Rust is characterized by orange, gall-shaped structures on the leaves and twigs. Rots, as the name suggests, often slowly rot various parts of the ash. Wood rots are most often the result of injuries, while root rots develop in the roots and spread. Many cankers, while not as common as other ash diseases, are caused by several species of fungi. Bacterial diseases include wetwood, a condition in which the wood becomes water-soaked and bacterial infections occur in the sapwood. 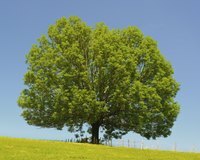 The most common symptom is sap bleeding from the trunk or larger, older limbs of the ash tree. Hairy root is a condition in which the base of the stem or larger roots produce an extensive amount of small roots that resemble hairy roots. For several ash diseases, including anthracnose, you can remove infected branches during the tree's dormancy to stop it from spreading. Always disinfect your pruning tools after pruning infected trees by dipping them in household disinfectant and allowing them to air-dry. Burn or otherwise remove infected branches and leaves from the area to prevent the diseases from spreading. Remove ash trees that have ash yellows or root rot, and those that have been severely damaged by verticillium wilt or other diseases.